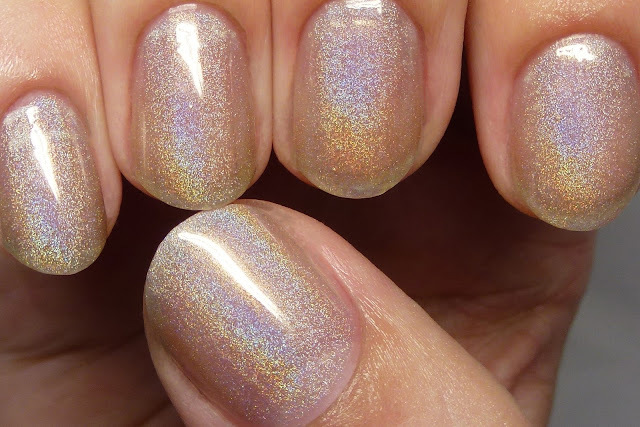 Angelique Wings is a linear holographic, shown here in four coats on its own and in one coat over Damsel in this Dress. As you can see, it gives a nice holo effect without graying out the red much. 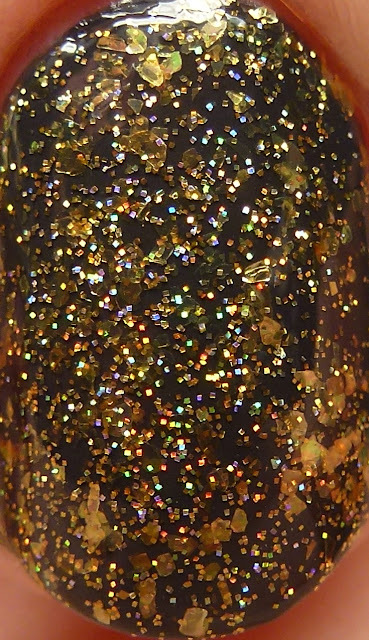 Golden Daze features gold flakes and gold holographic microglitter. 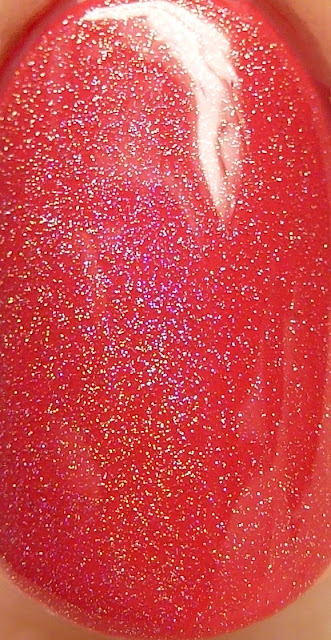 It is shown with four coats on its own (it will cover in three) and also one coat over Midnight Mistress. What an amazing effect! Lady Charms contains gold and silver holographic microglitter. Again, I wore it in four thin coats and one coat over Runaway Bride. Even though this is a glitter, the particles are thin and small enough that it was glassy smooth with only one layer of top coat. Finally, my favorite, Silver Knights! 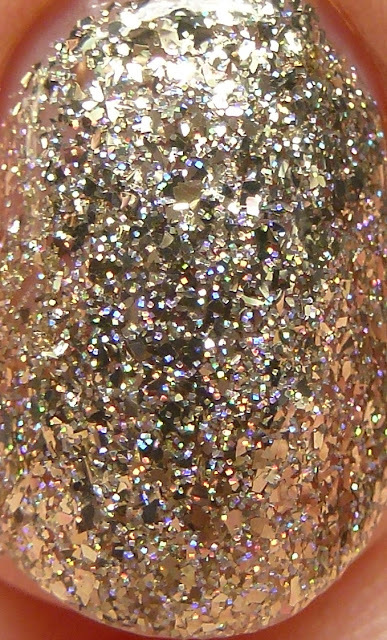 This has silver flakes and silver holographic microglitter. Like Golden Daze, I photographed it with four coats, but three is enough for full coverage. I also show it below with one coat over Bluejacket Baby. 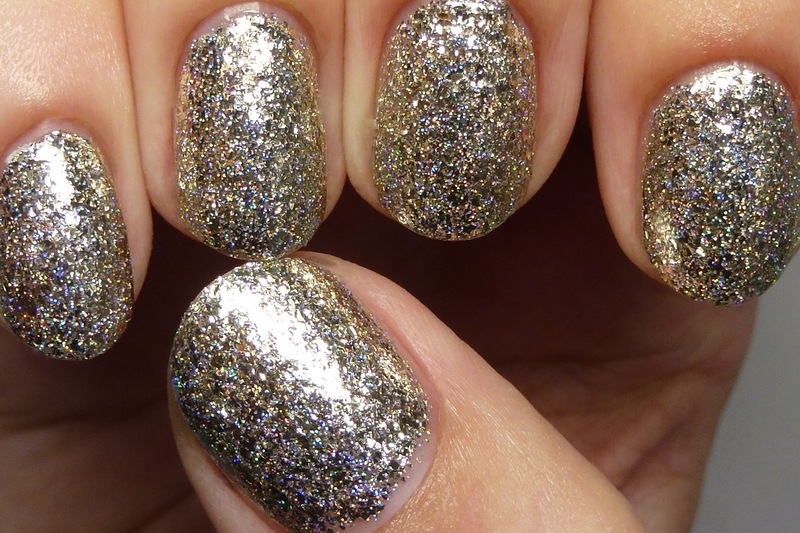 I love polishes that can do double duty like this! 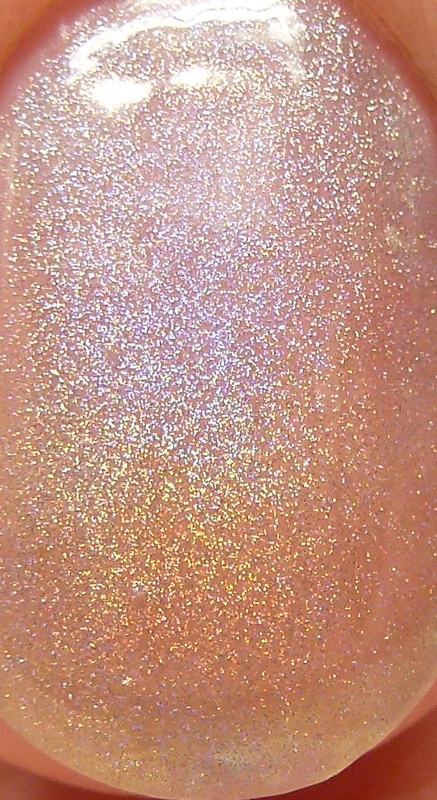 Golden Daze and Silver Knights in particular are spectacular as full manis but I was impressed that it was so easy to get even coverage over another color with only one coat. 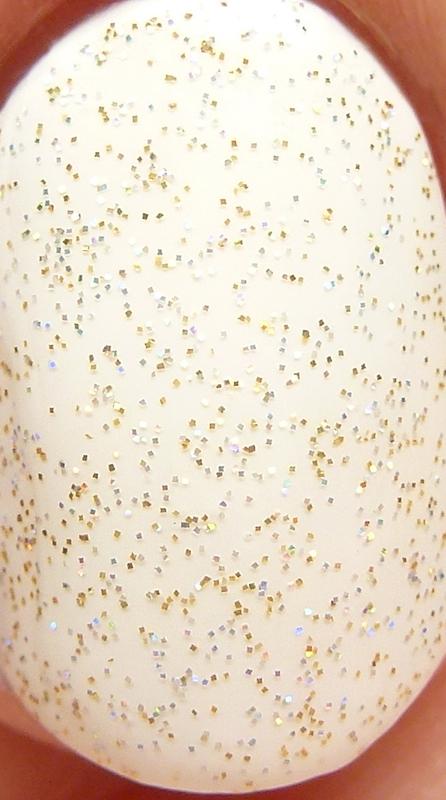 These will be available on Friday along with the cremes from the collection. 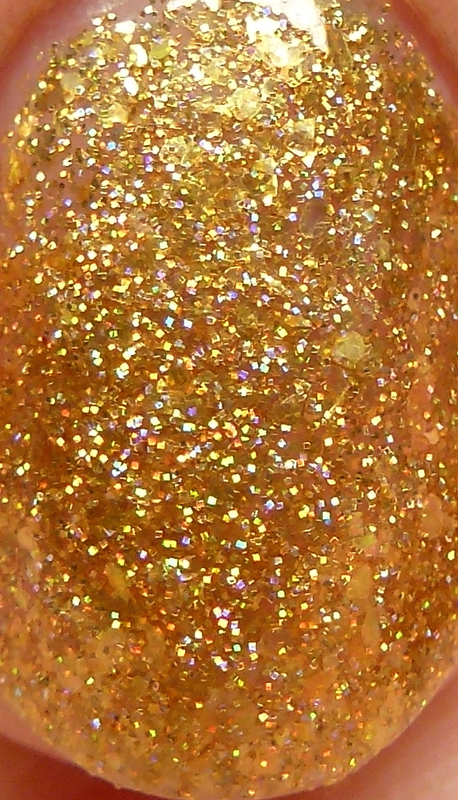 The cremes, Angelique Wings, and Lady Charms will sell for $9 for a full size bottle. 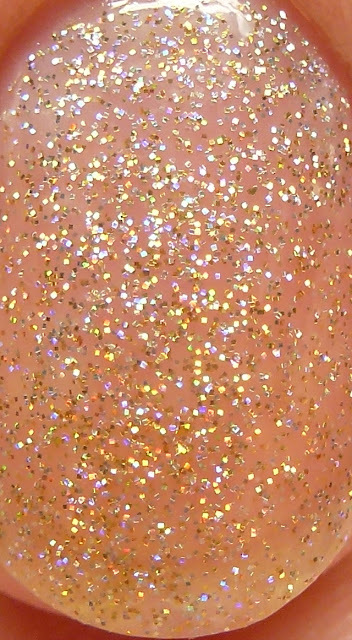 Golden Daze and Silver Knights will be $10 each. What do you think of these? 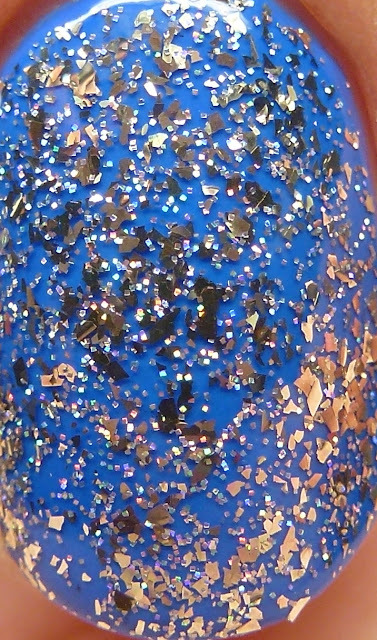 What do you think of full-on-bling metallic flakes?